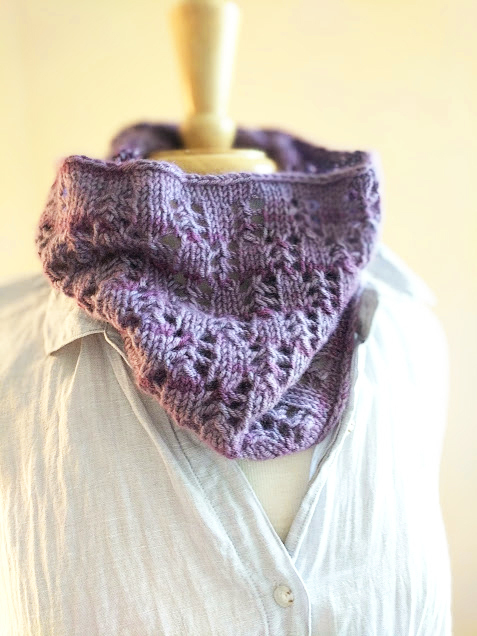 And so I bring you the Due Capre cowl. 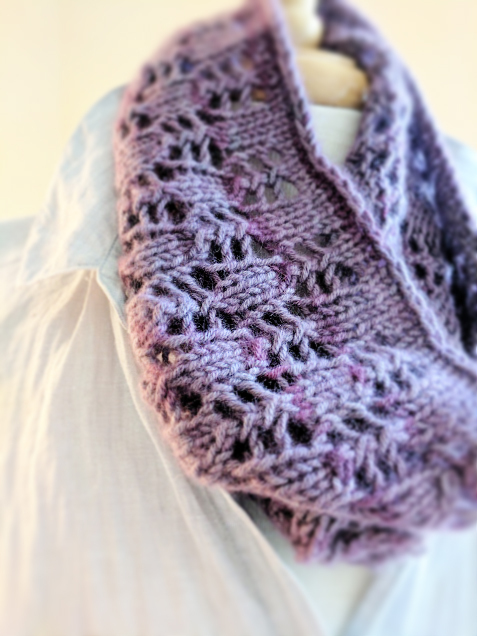 This is a one-skein stashbuster with a simple-to-follow lace pattern, that can be sized up or down according to your yardage. If you have a margarita and get chatty, it’s unlikely that you’ll veer too far off course on the lace pattern (charted and written, btw). Knit in one skein of Mrs. Crosby’s limited edition Due Capre, a luscious cashmere and mohair blend, this is also a great pattern for other luxury skeins you may have set aside for the perfect pattern.